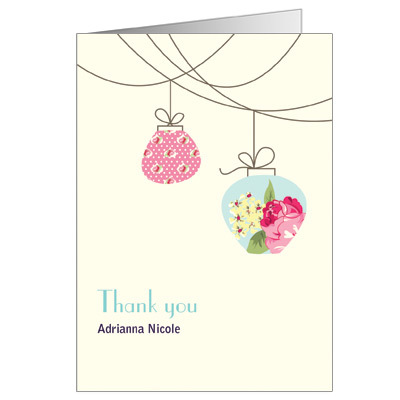 Two hanging floral paper lanterns are featured on this stylish Quinceanera thank you note card. Personalize this design with your child's name and 'Thank You' in royal and light blue text. Folded card measures 3.5 x 5 and comes with matching ecru envelopes.